Finished it the other day. Bad a$$. It even gets better towards the end. How could a Fastlane member NOT spring the $15-$25 for this book? WTF? "If you want to be rich, add VALUE to people's lives." Yeah I thought it really picked up at the end too. Lot of good tidbits. At one point I was sitting on my couch checking my pockets and looking under cushions for a pen so I could write stuff down. Of course living in a house with 6 kids and a spouse it's sometimes hard to find pens just sitting there where you last left them. Yes, the back half is about speed, vehicles, and roads -- the more fun stuff -- the front is about roadmaps which really aren't that all exciting -- and mathematical justification that the preordained plan is numerically weak as well as risky. Edward1975 and Mbiz79 like this. I had planned to order the book all along, but due to the PERSISTENT prompting of Kwerner, I'm ordering it now. The dude won't shut up about your book MJ. It must be worth it. Can't wait to read it. For me, personally, the biggest impact of the book came in the description of the various stages of the Fastlane. I guess I had always considered myself on a regular (slowlane) path before I was ever actually on it. I think there are a lot of folks out there pretending to be on that accepted path when, in actuality, they are sidewalking along through life. 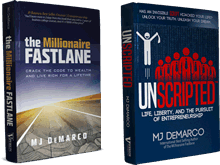 Why strive so hard to keep up with the Joneses when you can focus instead on getting in the Fastlane? I, like a lot of people, strove so hard to make it into that slowlane (educated, "good" job, investments, etc.) only to find that when you make it here, it's still not a comfortable enough place to settle. Maybe it works for most people out there, but.... Not me. What I took, overall, from reading MJ's book is that the separation between jumping on the slowlane compared with merging into the Fastlane comes in separating yourself from everything that society has beaten into you from day one about how to make it in life. There are a lot of ways to fake looking like you are a regular Joe on life's Slowlane, but the only way to look like you are on the Fastlane is to actually be on it. Thanks for reigniting the fire under my posterior, MJ. I was due for it. Good topic. I think what I found most enthralling is understanding that you can be slowlane and be considered in society as quite successful. The societal blinders, if you will, are placed neatly upon some of the most prestigious individuals within communities. But what separates the fastlaners is breaking out beyond those bounds. There is the current wave you can hop on to ride your way to a success. That wave is what society tells you to ride. But the fastlaners own the wave, they are the Ocean creating the currents so that waves can be ridden by the slowlaners. Forging my way through the book - nothing new so far, but it's early days. I had a few more pages to read this morning and finished it before coming into work. (shhh -- don't tell anyone I'm on the site from work). I've read a lot of books on investing and sometimes get distracted if I'm not careful. 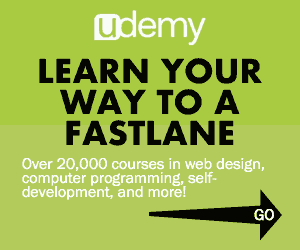 It's too easy to jump from one fastlane to another if you're not careful. In the one area where you mentioned RE, I came to that conclusion a little over a year ago. SFHs takes a lot of TIME. It is a great way to make passive income but you have to have a lot of homes especially if you want the income to take the place of your job's income. Overal it's a great book. My next step is to post it on my Facebook page. Just got my book today and I can't put it down. Honestly I haven't felt this way about reading a new book since I first picked up rich dad poor dad years ago (which helped point me to where I am today). Now I certainly don't want to put the 2 books in the same category (I think that I've grown past the nature of that book over the last few years, and I think that some of us here share the same opinion of Mr. Kiyosaki), so let me explain: when reading that book years ag, I got the feeling in my gut that, yes, it IS possible to live the dream, to own my own business and not slave away. It was a persistent feeling that gave me hope and actually caused me to make quite a few life changing decisions at that time (one example: quitting my factory job and going into sales... with a kid on the way. Any 'normal' person would have stuck with the secure factory job instead of taking a leap into the commission based world, but I wanted to learn marketing and sales). And now, I am reading through the 1st few chapters of MJs book and I am getting that old familiar feeling back, only this time, I am more educated and more determined and have already started down a particular path. I think this book will only make me more focused, even more determined and more confident that I am doing the right thing by working on my business (instead of loading up the new starcraft or something). And it's been an excellent read so far MJ, and much better than I expected. Very impressed. It's strange how discovery and 'out of the box' thinking can lead one down a different path. Years ago I picked up Rich Dad, Poor Dad from Borders. Found the RDPF forum, which led me to this forum, which led me to discover the path that I am taking now. And now I get the privilege of digesting the honest wisdom of a self made millionaire and I can only imagine what different paths lay ahead. (Really trying hard not to sound cheesey here Just trying to be as sincere as I can). bit of i high jack so im sorry but just a quick question...is there anyway to get the book sent over to the other side of the pond? Thanks MJ for pointing out the right lane. The best book I have read. And I read a lot of books. Probably why I am drunk driving. I have read the book. And I am reading it all over again. Thanks for a great book, MJ. Do you like this Facebook-page? I've read the book and I'm making my mother and room-mates read it as well. This book is a wealth of knowledge packed into a very easy read! I knew it would contain amazing information, however I was legitimately surprised at how well written it was. "The more lives you affect in an entity you control in scale and/or magnitude, the richer you become"
I believe this is the essence of the Fastlane described in one sentence. Yeah, I am sitting here with the same question? I guess I can order it from Amazon and wait for 3 weeks before it is here. But are there other options? I haven't read the book but just ordered my copy on amazon. My buddy was telling me how awesome it is. Thanks for creating a great book for all of us to create amazing results with MJ! I've finally finished this book! Now it's time to read it again. There's so much good info, I have to read it again. Actually, I've made a plan that I'm going to read a chapter per day just to keep me motivated. You have truly given the world a gift, MJ. The most succinct, passionate book on wealth creation I've come across yet, and I've come across a lot! Thank you from the bottom of my heart. Because of you, I have no doubt I will become a millionaire very soon. 1/2 way through with the book. Very well written, and a definite motivational factor! I've been working on my business idea for the past two years, and your book not only re-ignite my motivation, but also gave me a valid discipline to create a brand. I enjoyed the read, and I already bought a copy to my brother and shipped it overseas. I think that the things I enjoyed the most were the down to earth examples and metaphors, and the open, honest approach. Another thing I really enjoy is that now I have the "Fastlane Doctorine" organized in one book for reference, contemplation and motivation. 1) English is not my native language - and the writing style was harder for me to read than other books I've read on the subject. 2) The book's graphic felt a little unfriendly to me (small text and spacings). 3) I have already learned many of the concepts through this forum and other books. Therefor, since the first half of the book is directed to the average joe with 50k$ in debt who thinks his 401K and job will make him rich, The first half felt like repeating a class you got an A+ in for the second time. I think I found a typo on page 147. The closing statement to "Big Wealth Follows Big Number", within the end of the last comment it states the following, "Thing big to earn big." I know this microscopic error isn't an importance in delivering your message, I just find it hilarious. BTW, love your cynicism that you've injected into the book...it gives a personal feel as if your talking to me directly to wake the "F" up from the BS I've been taught and told. LOVE IT!